Charge dissipation to prevent lightning and eliminate static electricity has developed into a useful tool in preventing damage to sensitive electronic equipment. With the increased usage of computers and microprocessing in communications, instrumentation and automatic controls, facilities have become more vulnerable to failures and outages due to the effects of lightning, power surges and transient voltage. Before and during a thunderstorm, electric fields of extremely high voltages build up. If the energy in these fields is not dissipated, arcing and breakdown of insulation can occur, leading to damage in solid state components. Dissipation works by slowly discharging the energy in the fields over a relatively long time period at very low current levels, rather than by the instantaneous high current discharge from a lightning strike. 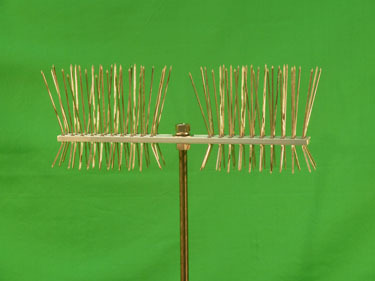 As a storm approaches and the voltage of the electric field builds up, each sharp point within the dissipation array begins to conduct into the surrounding air by ionizing the air molecules above it. If enough points are available and are arranged in the proper geometric configuration, the energy in the electric field is slowly dissipated by conduction of the points into the air. The field voltages needed for lightning will never be attained. This is a scientific process first touched on by Benjamin Franklin more than two centuries ago. However, since then, and most notably over the last twenty years, the technology of static charge dissipation has developed to the point where damage to electronic equipment can be reduced from 90 to 99 percent, depending on the site and storm intensity. 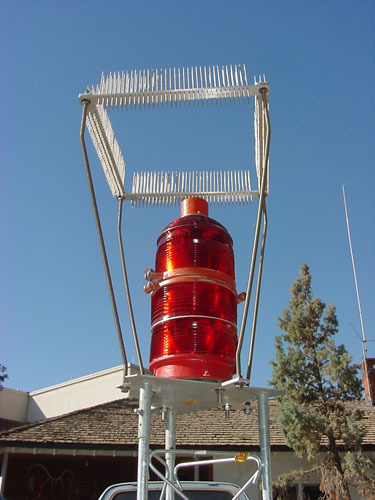 Many sites have never had a recurrence of lightning after installing a properly engineered dissipation array. The Gila-Stat is an improved version of a design that has had great success for more than 15 years. Constructed of stainless steel and high quality aluminum, it is extremely rugged to survive the worst weather conditions for many years. 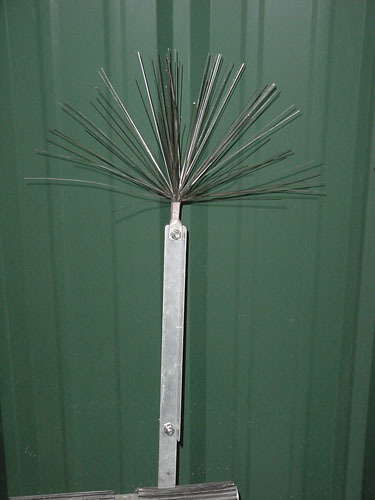 Unlike some dissipators that are made with thin wires that can be damaged by wind, ice and hail, the Gila-Stat is made with 1/8" stainless steel individually sharpened rods which will not be damaged by weather, birds or other hazards. Included is a mount which is custom manufactured to suit the customer's application. Normally a ground wire is not needed if there is an adequate path for the small electrical current, but ground wire and ground rods can be supplied. There must be a path of low resistance to the current to ground, but this is not difficult to attain. 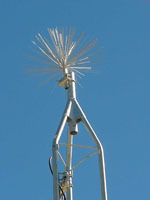 The Gila-Stat can be used singly or as a system of dissipators for large facilities such as cogeneration plants or tall broadcast or communications towers.